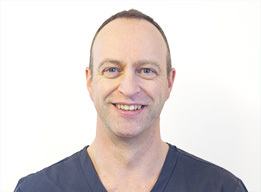 Kevin qualified from King’s College Hospital, University of London in 1988 and after completing a vocational training year gained his MSc in Dental and Maxillo-Facial Radiography in 1999, along with further qualifications and experience working in dental practices in London, Cambridge and Epsom before settling in Stratford. He joined us in 2009 to work full-time at Wellesbourne. Despite a busy home life with three children, hobbies include running and cycling and taking part in both running and triathlon events.